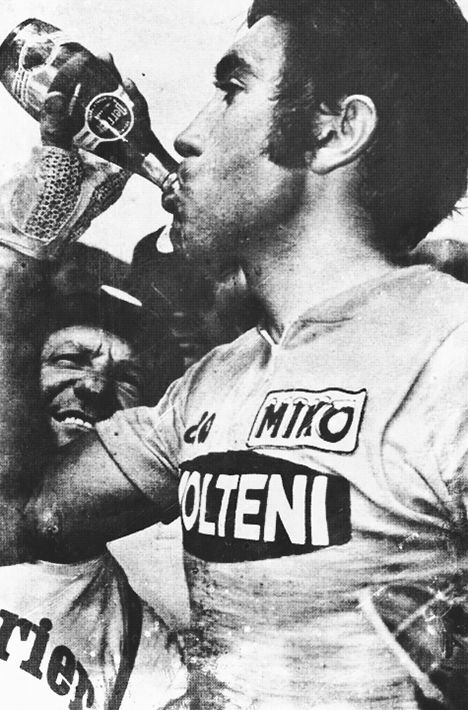 Mr Merckx slams one down, post race. Perrier, no less. Ride, drink, ride, drink. The secret to being the best. Ever.